The Laser-Grader® 106-P Model is the ideal machine for close tolerance grading. It provides unmatched precision in the construction market, increasing productivity and profitability. In enclosed spaces the machine can grade up to 2323m2 a day and in open spaces 4646m2. The Laser-Grader® reduces preparation time, labour and materials on fine grading jobs and equipped with a Trimble Control Package can eliminate the use of stakes, grade rods and continuous checking of the finished grade. 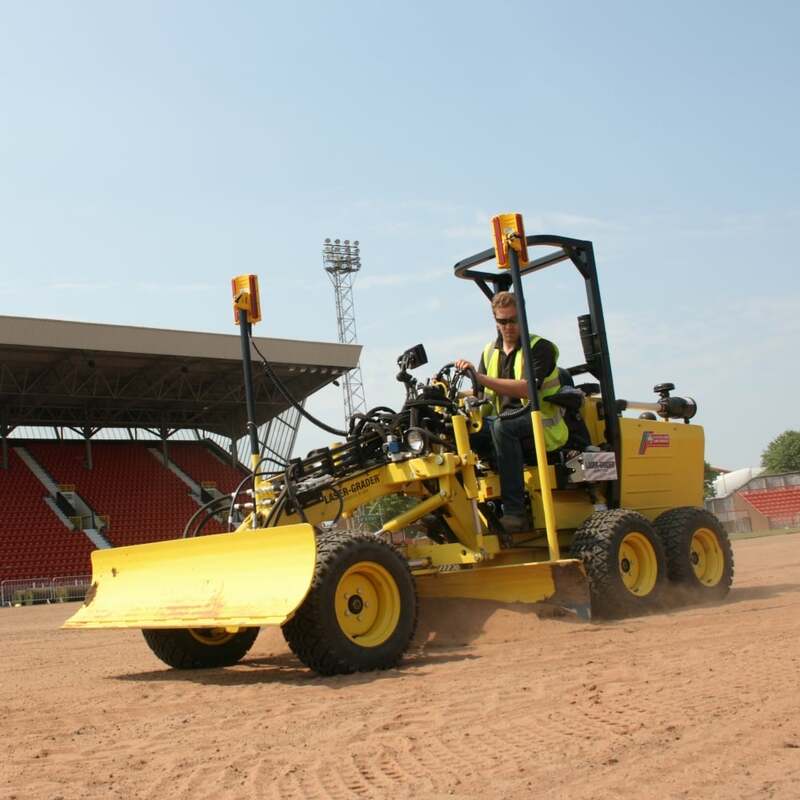 It is perfectly suited to sports pitch constructions where tollerences of +/- 3mm can be achieved. It is the answer to many of the problems associated with non-uniformity, uneven surfaces and drainage issues.